The U.S. Consul General in Lagos, Mr John Bray, on Monday said that many Nigerians living with HIV were unaware of their status due to insufficient HIV testing and counselling centres. 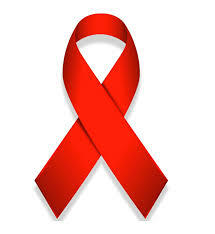 World AIDS Day, also noted that people living with HIV virus had low access to antiretroviral treatment. “According to the Joint United Nations Program me on HIV/AIDS (UNAIDS), Nigeria has the second largest HIV epidemic in the world and has one of the highest new infection rates in sub-Saharan Africa. “Many people living with HIV in Nigeria are unaware of their status due to insufficient recommended number of HIV testing and counselling centres. “Low access of antiretroviral treatment remains an issue for people living with HIV in Nigeria,’’ he said. Repressented by the Consulate’s Acting Public Affairs Officer, Mr Kevin Kraft, Bray said that the U.S. had been working with Nigeria, through its President Emergency Plan for AIDS Relief(PEPFAR), to save lives globally. According to him, more than 720,000 Nigerians are currently on PEPFAR-supported HIV treatment. Bray added that approximately, about four million Nigerians had received HIV counseling and testing services this year. The consul-general said that HIV prevention messages and activities had reached over 300,000 people identified as most-at-risk, while about 50,000 pregnant women had received antiretroviral drugs. Bray, who said that the U.S. was “closer to controlling the HIV/AIDS pandemic than ever before,’’ added that what seemed impossible years ago had become possible. He commended the Federal Government of Nigeria’s plan to use domestic funds to provide antiretroviral drugs to an additional 50,000 people living with HIV, each year. Prof. Babatunde Solagberu, the Provost of the Lagos State University’s College of Medicine(LASUCOM), called for more local and international support for eradicating HIV in Nigeria. “We need more awareness and support in the eradication of HIV/AIDS in our communities. “We need this support locally, nationally, continentally and from across the whole world. not our problem,’’ he said. At least 500 Nigerians die of HIV/AIDs daily, with an average new infection of 600 people every day, according to Sani Aliyu, Director General, National Agency for the Control of AIDs, NACA. Mr. Aliyu gave the figure during an interview with the Nigerian Television Authority, NTA. He said although the country has achieved great heights with the support of government and the international community, a lot of help is still needed from private individuals to address the challenges posed by the existence of HIV/AIDs in Nigeria. Mr. Aliyu noted that Nigeria is still the second most affected country with HIV/AIDs, globally behind South Africa.